Hartpury RFC will face something of an unknown quantity when they make the long trip to Cambridge this weekend, but Director of Rugby John Barnes remembers only too well what happened the last time they rocked up at Volac Park. It was back in the 2013-14 season when the two sides last met there in National Two South and Hartpury slipped to a 31-21 defeat on a rain-soaked January day to see their lead at the top of the table cut to nine points. This was despite Hartpury fielding a strong side that included Billy Burns, Ross Moriarty and England Sevens star, Dan Norton. They had taken the spoils at home earlier in the season, by a 19-13 margin after being reduced to 14 men following an early red card to the now-England and Tigers prop forward, Ellis Genge. While Hartpury finished that season in pole position to make the jump into National League One, Cambridge finished seventh. 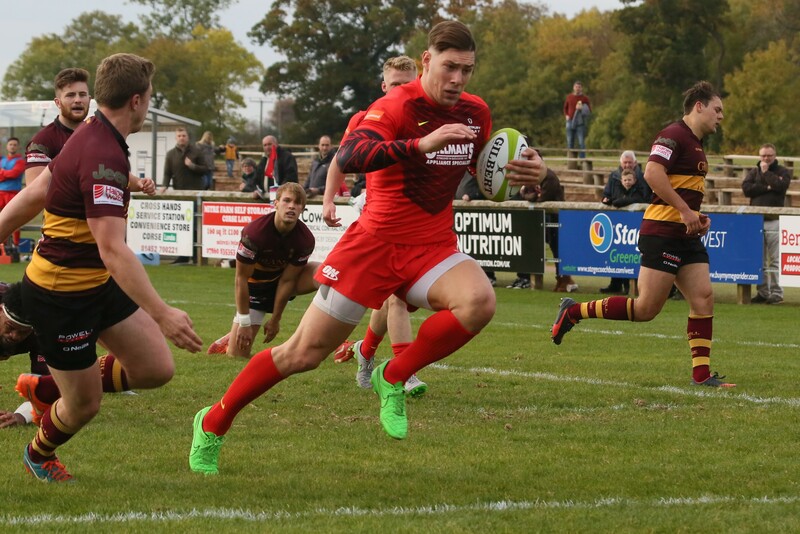 It has taken them another three seasons to move up to Hartpury’s level in the league pyramid and the newly-promoted club have got off to an indifferent start. With three wins from their eight games so far, they currently sit 12th in the table, a long way adrift of summit side Hartpury, whose fortunes could not be more different after eight bonus point successes in a row, most recently dispatching Ampthill 49-14. Barnes, though, is taking nothing for granted. He said: “They have had a mixed bag of results so far but the fact they ran Blackheath so close away from home last week should serve us a warning to us, as will the fact that we lost the last time we went to their place. “It’s been a disruptive time for them after losing their Director of Rugby and having to put a new coaching set-up in place with ex players now at the helm. They have had some disappointing defeats away from home but have fared pretty well at their place, where they always have strong support. It’s a tough place to go. “They always have a strong pack but also a decent back three and a dangerous nine who likes to tap and go. They will want to play a high tempo game, I’m sure, but we’ve done our homework on them and and we’ll be ready for whatever they throw at us. Team selection has still not been firmed up yet, but winger Jonas Mikalcius (Harlequins, pictured) and Gloucester Rugby and England Under-20s duo, number eight Will Safe and back row Harry Randall, are all likely to be available. Lock forwards Rhys Oakley and Joe Dancer will both face fitness tests later this week after picking up knocks in the Ampthill game. Around the league, there are some other fixtures that also catch the eye. Rosslyn Park, winners last week, will be keen to build on that. Where better than at home to London rivals Blackheath? “Club” are unbeaten since their opening day defeat at Hartpury and in good form, but is there something stirring in Roehampton at last? Birmingham Moseley have a similar overall playing record to Blackheath and they are also away this week, although with a longer journey up to DMP’s Northern Echo Arena. Form suggests that they will have too much for their hosts this weekend, but DMP are another team from which more was expected and could spring a surprise. Fourth plays fifth when Plymouth Albion receive the visit of Loughborough Students. The university side have started the season well, but Albion’s 100% home record is likely to remain intact come Saturday evening. Coventry, after two successive home wins, will be hoping to finally put something positive in the ‘away’ column when they travel to Ionians, whilst Ampthill will seek to erase the memory of two straight defeats when they welcome improving Esher. Albanians will be looking to put some daylight between themselves and the drop zone when fellow promoted club Macclesfield are the visitors and Fylde will hope to continue their decent run of results with victory at beleaguered Blaydon. Cambridge v Hartpury kicks off at 3pm.